Cooper's Hawk Restaurant is a chain that I have heard quite a buzz about in the gluten-free world. I've read other bloggers' glowing reviews and have seen positive reports on Find Me Gluten Free, a website and app I use religiously. That being said, I approached this dining experience at Cooper's Hawk with dread, because I have eaten there once before (years ago) and it was one of the worst dining experiences I have ever had since going gluten-free. 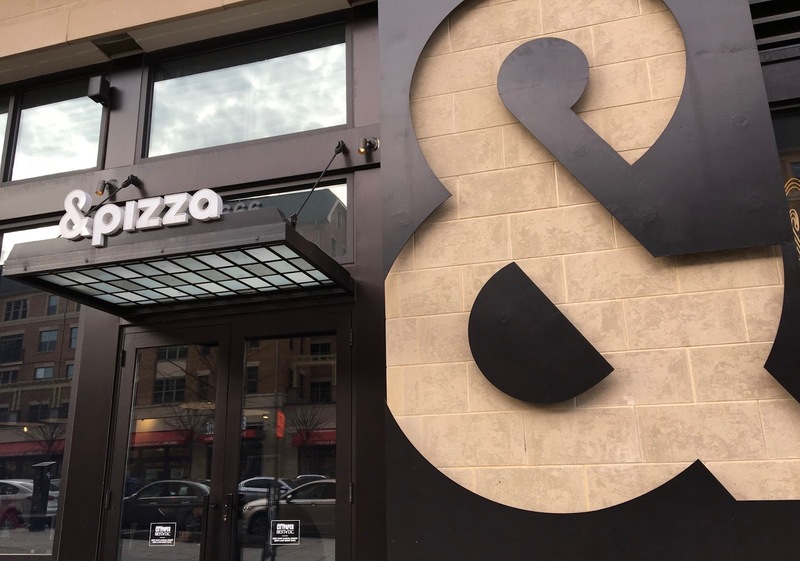 However, when visiting my grandparents in Cincinnati last weekend, the restaurant came up as a viable option for dining out because they had a menu that would appeal to everyone in the family and they had a reputation for great gluten-free accommodations. Although I was skeptical, I decided to give them a second chance, to see if my first experience was a outlier. While visiting Cincinnati over the President's Day weekend, my grandparents wanted to go out for dinner with my dad and me. 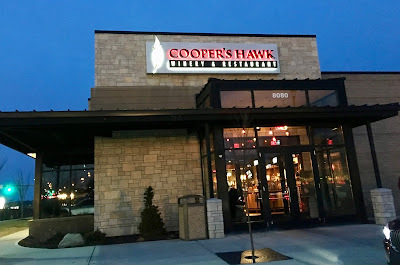 After some searching, we decided that Cooper's Hawk Winery and Restaurant in Kenwood would be a good place to go out because they had an expansive gluten-free menu and lots of choices for the gluten, and non-gluten eaters in our party. 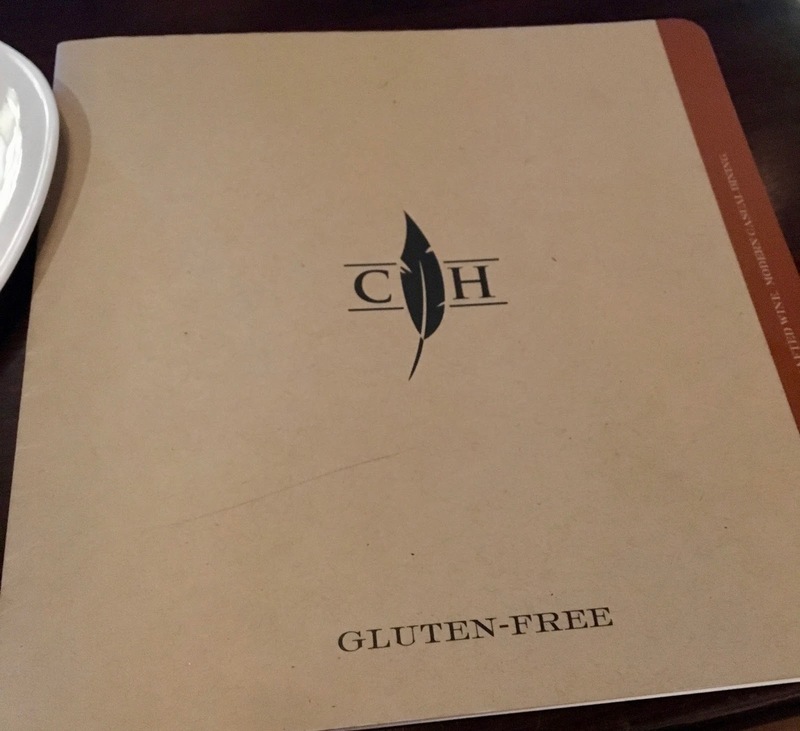 When I arrived our waiter brought out the restaurant's gluten-free menu. I marveled at it's multi-page format and that it listed everything from appetizers to desserts. It made knowing the gluten-free options refreshingly easy. 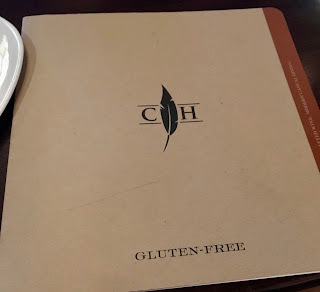 On Cooper's Hawk's menu, vegetarian and vegan options are marked, and in my experience our waiter was happy to double check with the chef to verify items were dairy-free. Other gluten-free features of this menu are that gluten-free buns are available for sandwiches and burgers as well as for a gluten-free bread course. On another note, the restaurant uses Barilla gluten-free pasta. Although I am by no means a big fan of sports, there's something about the Olympic Games that gets me really excited every two years. This year, the Winter Games are taking place in the South Korean city of PyeongChang. 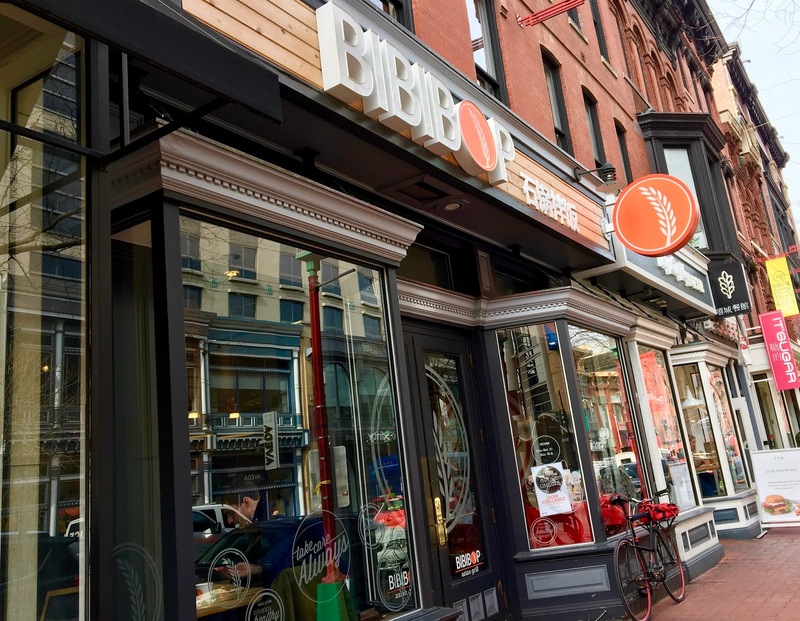 After waking up before the crack of dawn to watch the Opening Ceremony live this past Friday, I decided to forego my usual morning excessive of deciding what to pack and instead opted to find something to eat in the Penn Quarter neighborhood where I work. Inspired by the Olympic Games, I decided to try out Bibibop, a Korean restaurant chain with lots of gluten-free options and multiple locations around the District (and in several states). Always intrigued when I can get safe Asian food, I was excited to see what my experience would hold.